Dee Cason’s yard was recognized as “Yard of the Month” for August. 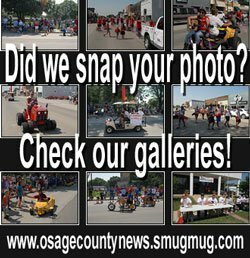 August marks the third month of recognizing Osage City’s “Yard of the Month”, sponsored by the Osage City Chamber of Commerce. 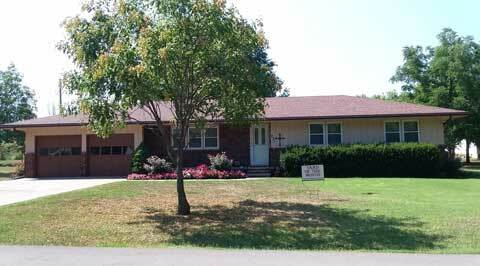 The Chamber has announced that Dee Cason’s yard has been selected for the month of August. Even through the lack of rain and hot weather the past month, Cason has managed to keep her knock out rose bushes and flower beds surrounding her home looking beautiful. 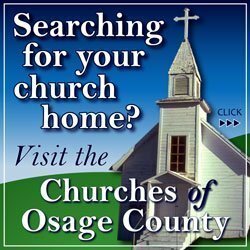 Her home is located at 231 Safford St., Osage City. The Chamber’s Yard of the Month recognition is during the months of June through September. The selection of the yard takes place during the first few days of each month. 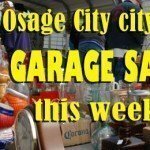 In appreciation of the beauty and hard work for the selected yard, the home owners will receive a $25 Osage City Chamber Buck Certificate to be used at any Osage City business. Information thanks to Jeanette Swarts, Chamber executive director.